Rigid Industries pro Brandon Palaniuk tries to stuff 22 pounds of smallmouth into a 20-pound bag. Photo by Joel Shangle. Trokar pro Chris Zaldain with 26.1 pounds of Mille Lacs monsters. Photo by Joel Shangle. Team Livingston at work as Oakley Howell supervises dad Randy’s 25-pound bag on Day 3. Photo by Joel Shangle. Quigley pro Dave Lefebre hides behind a “witness protection program” giant. Photo by Joel Shangle. Daiwa pro Seth Feider shows off one of the 5.5-pounders that he weighed. Photo by Joel Shangle. No fish here. I just thought this was a cool photo. Photo by Joel Shangle. Bass Pro Shops pro Jason Williamson with part of his haul from the week. Photo by Joel Shangle. Yamaha pro Chris Zaldain likely had to file an OSHA claim after hoisting 26 pounds around. Photo by Joel Shangle. This fish was one of over 30 that MinnKota pro Matt Herren caught on Day 2. Photo by Joel Shangle. Simms pro James Elam with a bit one from Day 1. Photo by Joel Shangle. Yamaha pro Takahiro Omori was one of several with 25-plus-pound bags. Photo by Joel Shangle. This Day 2 fish for Hackney was so big it earned a nicnkame: “Ole Big”. Photo by Joel Shangle. Gene Larew pro Tommy Biffle with a giant on Day 1. Photo by Joel Shangle. Megabass pro Chris Zaldain does some heavy lifting on a trip of Mille Lacs monsters. Photo by Joel Shangle. Shimano pro Jared Lintner is 6-foot-6, but hides pretty well behind these two Mille Lacs monsters. Photo by Joel Shangle. Daiwa pro Seth Feider stepped up with 25 pounds on Day 1. Photo by Joel Shangle. Bass Mafia pro Greg Hackne’s “copperhead” smallie from Day 1. Photo by Joel Shangle. Rigid Industries pro Brandon Palaniuk bags up a pair of 5-pounders on Day 2. Photo by Joel Shangle. 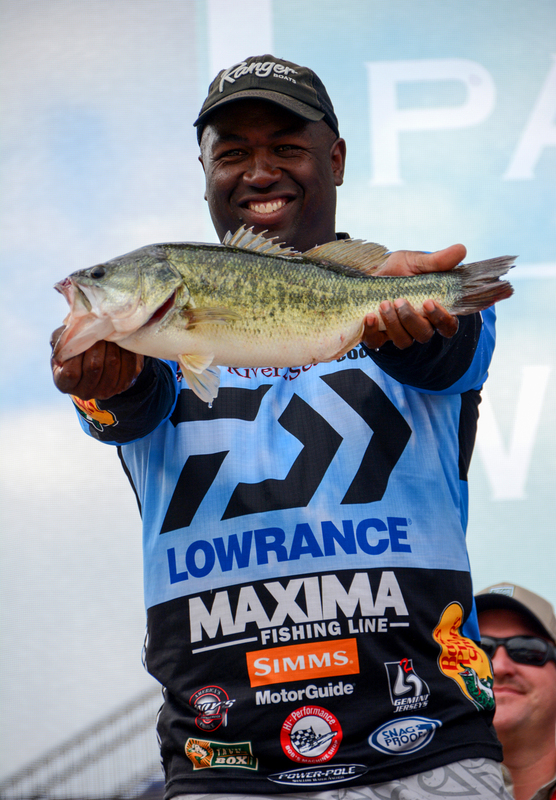 Garmin pro Greg Hackney with his personal-best smallmouth on Day 2: 6-0 pounds. Photo by Joel Shangle. Rapala pro Dave Lefebre shows off a Day 1 5-pounder. Photo by Joel Shangle. Daiwa pro Brent Ehrler shovels a 5-pounder in on Day 1. Photo by Joel Shangle. Mercury pro Shaw Grigsby had a lot to smile about with these two Day 2 monsters. Photo by Joel Shangle. Livingston pro Jacob Powroznik with a giant on Day 1. Photo by Joel Shangle.